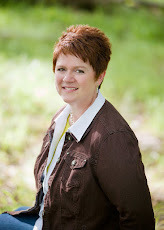 Margo Kelly: Underrated Treasures Blogfest! I haven't participated in a blogfest in ages, and I thought this sounded like a fun one. Astronaut John Crichton assumes he'll be home in time for dinner. But a freak accident during an experimental space mission catapults him across a thousand galaxies to an alien battlefield. Suddenly, he's trapped among alien creatures wielding deadly technology - a battle that 20th century sci-fi pop culture never prepared him for. Hunted by a merciless military race, Crichton begins his quest for home from a galaxy far, far away ... Thus began the epic adventure "Farscape" the groundbreaking award-winning sci-fi production that has become a fan favorite around the world. Named by TV Guide as one of television's best cult shows ever and known for the overwhelming fan-based campaign that led to the miniseries production, "Farscape" has continued to find new audiences as it airs in syndication and is available on DVD around the world. What is your favorite underrated treasure? This sounds interesting, too. I'm going have a long list of things to check out. I love Farscape! Too bad it ended so quickly. I hope they do a movie. Well, another movie. Yup, yup, yup. The characters were great along with the makeup and costuming! I loved Farscape! It's one of those shows my husband and I watched together and we both appreciated the humor and action. Great choice! My husband and I watched it together also. We own it on DVD, and it's always a great show to rewatch. Farscape! You are awesome. Watched every episode of that series. Did you know Gigi Edgley, who played Chiana, now hosts Jim Henson's Creature Shop Challenge? I did not know that. :) This has been a great blogfest. Thanks for putting it together. Its great there's a movie in the works, cool choice! Farscape sounds like something I would love to watch. Will check if I can watch it online. Thanks for the recommendation, Margo. Ah Farscape, such a classic. Excellent treasure. Ooh, sounds like something I would have liked. Thanks for the info! I like most things scifi. Haven't heard of this movie though, but I like the concept. I'm always on the lookout for underdogs with cult followings. This one sounds great. Thanks for the heads up. I am adding it to my must see list! Wow. Lots of accolades for this show. Definitely sounds fun! I saw this, off and on, when it was on t.v. and always liked what I saw. It had some great writing, for sure. Haven't heard of this one. Thanks for sharing your pick for the Underrated Treasures Blogfest. Farscape was so quirky but so fun. I really enjoyed this show. Very weird and wonderful. Also liked it when the two leads turned up in Stargate. Oh yeah! My husband and I both thought it was weird/funny when they showed in in Stargate. It was almost confusing to have them both there. I loved Farscape. Ironically, it was my ex (a non-science fiction fan) who introduced me to it. I agree with it being underrated. I started watching this on Netflix. I need to continue. The title rings a bell, but, alas, the file folder in the rusty cabinet, in the recesses of my mind, is empty! I enjoyed your post and knowledge of your subject. I have never heard of this one, Thanks for sharing. Thanks also for your comment it was much appreciated and valued. I have not seen this. It sounds like real fun! Sounds like a good movie. Must look out for it. I missed this show when it was on the air. It sounds like a good one. Farscape was an interesting and quirky show to watch. I miss it. You had me at astronaut and alien battle. Cool pick. I've never heard of it. Awesome comment! THANKS for stopping by! I totally have to watch this! I've heard of Farscape, but is it a movie or a TV show? Both? I'll see if it's on Netflix. It sounds great! I've never heard of this, but it sounds like it's worth a look! Wow, another program I've never watched. I clearly need to turn on the TV more often. This sounds awesome, Margo. Hi Margo, long time no see. Thanks for stopping by and saying hello! Great look for your blog too. Farsacape was fun. Another show taken from us too soon. Maybe they'll make a feature length motion picture for the fans. New to me. Love it when I hear about new things. I have a friend who every once in a while sends me a clip from Farscape -- what I've seen is very fun & funny. Never seen this one, but it sounds familiar. Never heard about Farscape. Sounds fun. Ah Farscape! Excellent choice. I like it very much! I've never heard of this show. Thanks for sharing about it. I remem ber Farscape. I never really got into it, but I think that's becasue I never got to see it from the beginning. I guess there's nothing stopping me from trying it out again. Thanks for sharing and thanks for stopping by my list. I dated a guy in high school who watched that so I got to see a few episodes. Also, Netflix has it and I started watching it, but couldn't multitask (aka write and watch) so I stopped and haven't gotten back into it. Loved it though, so I really need to watch more. I haven't participated in a blogfest like this in a long time too. This was a fun one. Not heard of this but enjoyed learning about it. Haven't heard of this one at all. How did I miss this show? It's something I'd love. Thank goodness for DVD. I tried Farscape but never got into it. Ah yes, I remember that one.